I hope everyone had a lovely Valentine’s Day. We did. Dinner and a movie, with stuffed green peppers as our main entree. It’s a really simple recipe. Clean and slice off the tops of your green peppers. Cook one bag of vegetarian meat crumbles. Add to the cooked meat crumbles diced tomatoes, onions, the tops of green peppers, and brown rice. Stir all together in pan. Season with Italian seasonings, black pepper, and a pinch of salt. 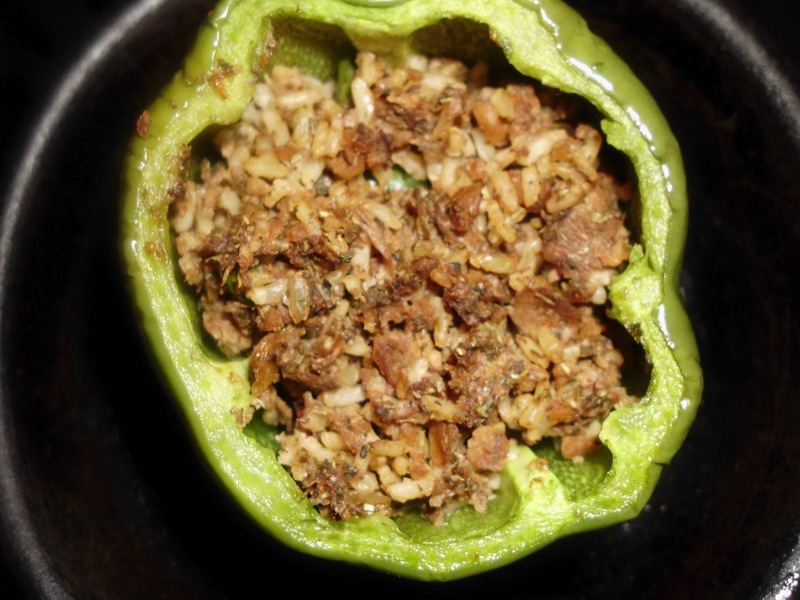 Put the mixture inside the green peppers. Place in the oven for 20-30 minutes. Top with marinara sauce and mozzarella cheese. Eat & Enjoy! *You can use any color peppers that you’d like.